Breathe new life into your P-style bass by replacing its stock pickups with a DiMarzio Model P® Pre-wired Replacement Pickguard. 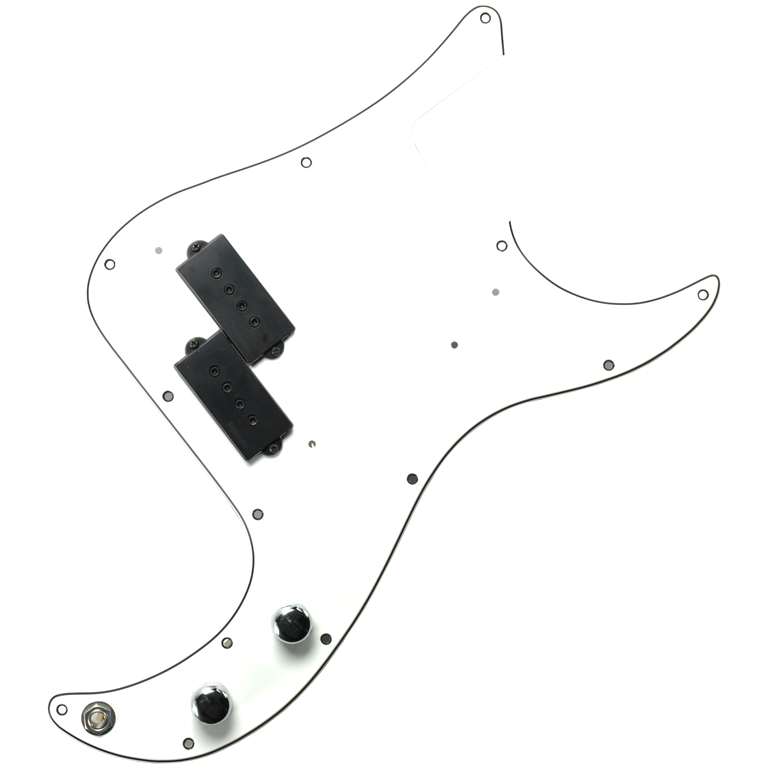 The set includes a laminated white-black-white pickguard, black DiMarzio Model P® pickup, knobs and features solderless installation. This hum-cancelling pickguard brings big, punchy sound to Fender® Precision Bass®-style basses, with more power and a distinctive mid-range growl when the bass is pushed hard. This is the perfect choice for rock bassists.